From food banks to debt counselling, soup vans to street pastors, the church is doing an amazing job treating the victims of a flawed system. But it’s never going to be enough, unless we also get involved in the decision-making process. God cares deeply about the heart of our state, as well as the state of our hearts. 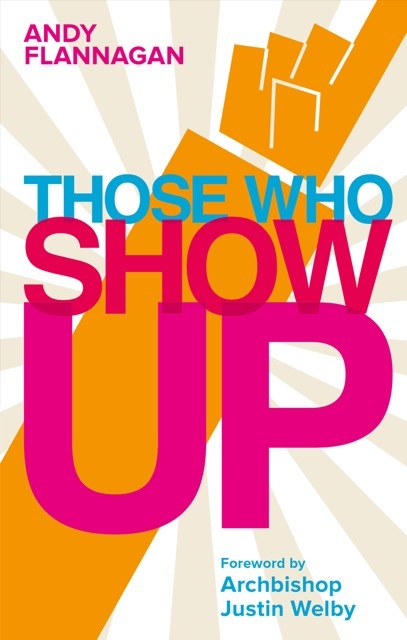 And, as Bart Simpson once famously discovered, the vote is won – and history is made, and the kingdom advanced – by those who show up. What, according to Christian thought, is the proper function of government? That is the key question this lively volume aims to address. It does not tell readers what to do, still less who to vote for. Rather, it seeks to equip us to think through what we in our roles as political Christians (that is, Christians employed, engaged or simply interested in politics) should be attempting to achieve. 'It has been slowly dawning on me over many years that there is a fundamental problem deep at the heart of Christian faith and practice as I have known it . . . we have all forgotten what the four gospels are about'. With this surprising and radical assertion, highly respected theologian and former Bishop of Durham Tom Wright launches a groundbreaking work sure to shake up and revolutionise much Christian thinking on the very heart and meaning of the Gospel of Jesus Christ. Tom Wright leads us, intelligently and graciously to seeing the new reality of the gospel story; one that is so explosive that the church in many generations has found it too much to take and so has watered it down rather than allowing its full impact to be felt. Neither Private nor Privileged argues that, despite Christianity's historic “theocratic temptation”, today's mainstream Christian traditions advocate a far more nuanced approach to “public witness”. The report examines what this “witness” should look like in practice: should it occur within, without or even against the governing authorities? The answer to this question will differ according to the “moral orientations” of the state in which the church operates, thus suggesting that the role of Christianity should be adjudicated on a case-by-case basis rather than dictated from on high. Ultimately, however, underpinning this case by-case approach, the report insists that the role of Christianity in the public square should depend on the extent to which, by doing what it must do, it can persuade the public that it is “doing good”. It is difficult to think of a time when faith has been so important or misunderstood. This report examines the often complex issues surrounding faith and its place in society. The first part of the report considers why it is not possible to take faith out of the public square. The second part examines the reasons why faith will play an increasingly significant role in public life. It goes beyond the obvious - such as the current focus on aspects of Islam - and identifies three tends: the return of civil society, the emergence of well-being and the politics of identity. This report argues that faith is not just important for human flourishing and the renewal of society, but that society can only flourish if faith is given the space to do so. Committed to moving beyond mainstream misunderstandings, Alan Storkey deftly examines the politics of Jesus - reading out from the life and work of Christ instead of reading into the New Testament with a predisposed agenda. 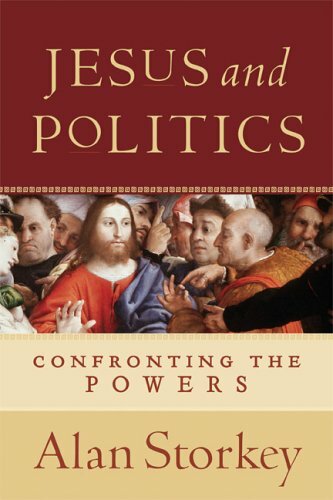 Jesus and Politics presents a thorough narrative of the Gospels - with far reaching impliactions - moving into issues of political philosophy, principle and practice. "In the modern era, the idea that faith should be a private pursuit has often meant that Christains have been hesitant to get involved in a political party. Thankfully, as we have increasingly come to understand that our faith has public consequences, this is now changing. In One Nation but Two Cities Joshua Horden helps to inform and fuel this change with regard to the Conservative Party. This is an excellent resource that provides stimulating analysis of the huge and enduring effect of Christian thinking and activism in the party. I hope that it will help to extend that influence in coming generations." - Gary Streeter MP. "Paul Bickley's essay raises issues of crucial importance for the future of the Labour Party as it receives a remarkable surge of new members, and rebuilds under new leadership after its first general election defeat in 18 years. From Keir Hardie via Richard Tawney to John Smith, Tony Blair and Gordon Brown, Labour has been profoundly influenced by people who have approached politics from the starting point of faith in Christ. Christian input will be vital once again in developing a popular, new, moral vision which can secure election success for centre-left politics in modern Britain. This publication will make a valuable contribution to this important process." - Stephen Timms MP.